Brussels Expo is the best place in Brussels for your congress. Our halls give you great flexibility in the organisation of a congress. Brussels Expo offers many venues for your conventions, conferences and meetings. Our rooms and spaces are flexible and can easily be combined. At Brussels Expo, all your events, small or large are welcome! They will benefit from the accessibility of our extraordinary site, and its many parkings nearby. Our venues are perfectly suited to events for 400 to 10,000 persons. Our spaces are multifunctional and modular, allowing an infinite number of possibilities. Everything is possible at Brussels Expo – from our LOUNGE CLUB designed for comfort and luxury, to an empty space for you to arrange just the way you want it! Our rooms can meet all your needs and requests: from a huge congress with 10,000 seated places or a conference for 400 persons, to a fashion show, awards ceremony, corporate dinner, product launch, gala dinner, B2B special event, staff party, meeting or other gathering …there’s always an ideal solution at Brussels Expo. Our advantages include exceptional accessibility both by public transport (no less than 7 city transport lines serve Brussels Expo) and by private car (directly off the Brussels Ring highway). What’s more, Brussels Expo has more than 15,000 parking spaces spread over several sites in front of and behind our exhibition halls. All our facilities are accessible to people with reduced mobility. Our site is completely enclosed, enabling you to provide a high level of security for your guests, through accreditation systems for example. Our facilities are also the ideal solution for your hybrid events, including for example a conference followed by dinner, a reception or cocktail party, or even in tandem with an exhibition. 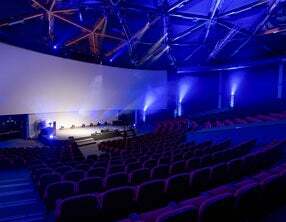 We can offer you venues at two exceptional sites: at the foot of the Atomium, or a stone’s throw from the Brussels Grand-Place. 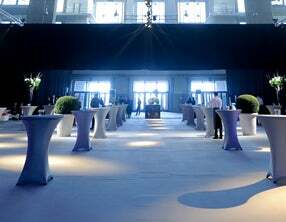 Brussels Expo has more than 80 years of experience in hosting events of all types! From Eurovision and huge international congresses to smaller, more private meetings and dinners. No request is beyond us and we treat every request, be it small or large, with the same attention.